Hotels are really stepping up their game in the "dining & cocktail" categories. 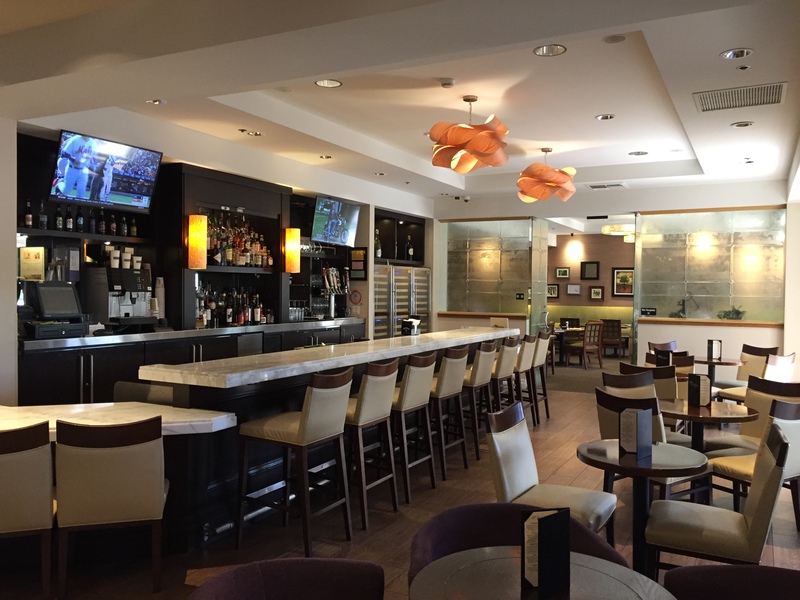 We thought we would share with you some of the most recent openings, and interesting updates in the hotel dining and lounge scene here in Irvine. One observation we have established right off the top is that hotel cuisine and craft cocktails are taking creativity to a whole new level. No longer is the hotel dining room or bar just a convenient place to stop off on the way back to one&apos;s guestroom. It has become a sought after destination for locals, visitors and business groups alike. So let&apos;s explore some of these venues that are making news and garnering repeat patronage left and right. Stepping into this hotel lobby guests know instantly THIS is different. 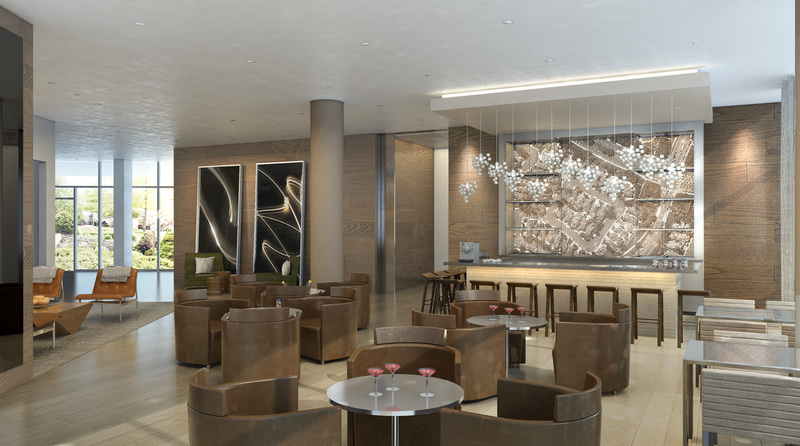 The lobby is dramatic with high ceilings, sleek, modern décor with an orange, yellow and cream color palate. There are low-profile, contemporary conversation seating areas sprinkled throughout. 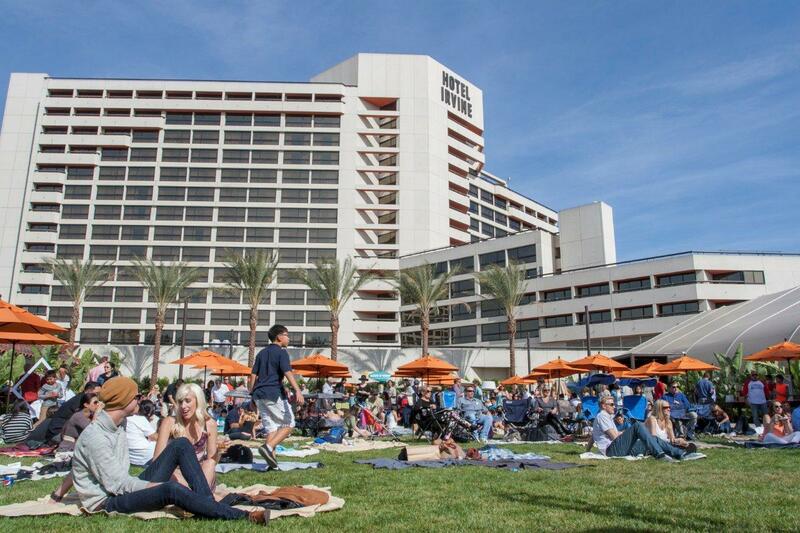 Here at Hotel Irvine there are four distinct areas to enjoy both dining and cocktails. This includes: EATS Kitchen & Bar restaurant, its lovely palm-shaded patio with a fire pit and comfy Adirondack-style chairs, Red Bar and Lounge and The Backyard, featuring a gigantic grass lawn for special movie nights and special events. EATS Kitchen & Bar recently welcomed a new Executive Chef Jeff Moore who defines his cuisine as "modern California" cooking and is committed to a California farm-to-table kitchen. The décor here is bright and airy with accordion glass doors that open out to the lovely patio. Serving breakfast, lunch and dinner, they are well-known for their tasty burgers and shared plates. 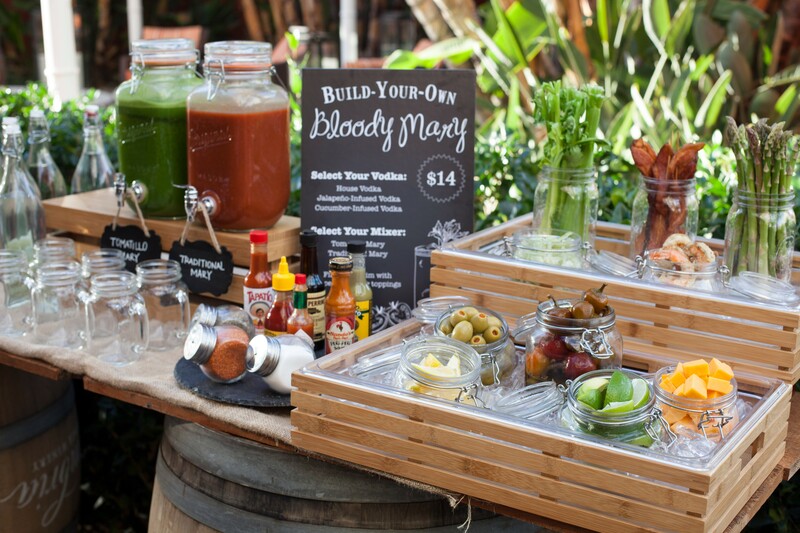 On Saturdays and Sundays they have an over-the-top brunch with an epic "build your own" Blood Mary bar, Taco Tuesday, One Buck Shuck Oysters on Wednesday evenings, Wine & Beer Dinners, nightly Happy Hour from 5 to 7 p.m. and other events as well. When the weather is right, The Patio at EATS Kitchen & Bar is the perfect spot to cozy up to the fire and roast some s&apos;mores, or enjoy a glass of wine or beer. The backdrop of lush greenery and a canopy of palms provide that quintessential SoCal vibe. Red Bar and Lounge continues the modern look with great circular booths and nests of seating that are perfect for a power-meeting or networking get-together. There is a lanky-long bar with flat screens and bartenders that enjoy showcasing their talents making showy, crafty cocktails. Happy Hour is nightly from 3 to 7 p.m. with lots of choices at half price. A massive nine-panel multi-screen TV is also in the lounge for game-cheering events. Beginning at 9 p.m. on Thursday, Friday and Saturday evenings guests enjoy a rotating list of stellar DJs who rock it at Red Bar and Lounge. I have attended many outdoor events in The Backyard---from Movie Nights to BBQ&apos;s and Wine Tasting festivals. As the name implies, this is an outdoor space and I cannot think of another venue quite like this in a hotel in Orange County. There is a patio, an 8,000 sq. ft. lawn area with suspended lights above, a 6,000 sq. ft. Pavilion and a Cabana. Events are held here throughout the year and many encourage locals to join in---especially during various holidays. The lobby has a modern, hipster vibe. Instead of the restaurant and bar tucked away in the back, it is right up front-and-center. The FLOE Lounge offers a variety of tempting coastal dishes with a lanky bar serving handcrafted specialty cocktails. Offering indoor and outdoor seating it is just so California! There is also a Speakeasy tucked -away... and what a wonderful surprise that is! 1) the Gather Spaces where "sea meets city" vibe and features local artisans, 2) the Bar in a European pub-style bar area with illuminated colorful bottles that seem to dance along the back wall illuminating all the amazing liquors available, 3) Indoor Dining in a modern seaside setting features up-lit stainless steel cables, sculptures, and even large communal tables, however my favorite spot is, 4) the Outdoor Patio featuring a heated terrace with fire pits. It is a layground for adults---by day the umbrellas shade the patio and there are ping-pong tables and a 70-inch TV. By night the space comes to life with LED lighting, fire pits, and dive-in movies by the pool area. The all-day menu (breakfast/lunch/dinner) features modern coastal cuisine and signature cocktails. In the morning there are classic dishes and pancakes, along with signature breakfast fare. Lunch and dinner menus are quite flexible. It is more like a grazing menu versus a dinner house. There are quick bites, share-able bites like fish tacos and flatbreads, heirloom tomato caprese, soups & salads and casual dining "big meal bowls" whereby guests customize their order with their favorite starch, protein and seasonal vegetables. What a great idea! beer list. There is seriously something for everyone here! On Tuesday and Thursday evenings there is live music from 5:30-7:30pm. 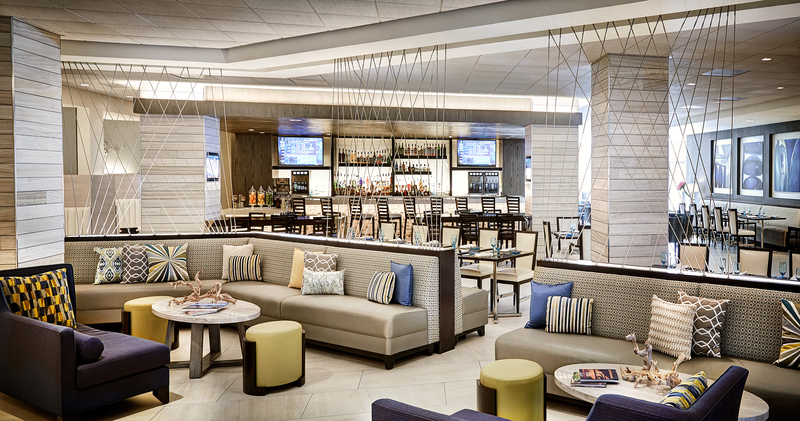 They also offer 3-hour complimentary valet parking with Lounge validation. Restaurant hours are: Monday-Friday: 6:00am to midnight, and Saturday-Sunday from 7:00am to midnight. Because "You Never Know." And thus the name ---the YNK Speakeasy! This is where classic cocktails meet travel and innovation. This is a very special find. 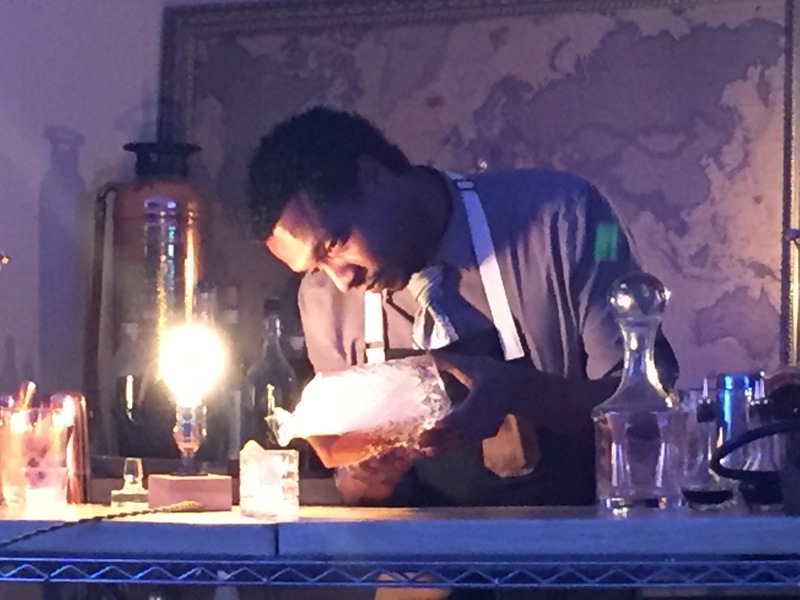 They are re-defining what it means to have the "perfect cocktail experience." It is an ever-changing beverage experience created by the Ellis Adams Group. The cocktail journey varies seasonally, so visitors don&apos;t get bored and YOU NEVER KNOW where the cocktail experts will take you next! This month (April) is an immersion in Spain. This means the specialty beverages include: Gin and Tonics, Sangria, Queimada, Rebujiot, Calimocho, and Spanish Armada. There are videos playing on both side walls to transport you to Spain. And as the location changes, so do the beverages and video muse. Come along for the ride. Immerse yourself. Their passion for veiled & smoky concoctions is magical and intoxicating. YNK Hours are: Tuesday thru Saturday 5:00 until...well...you-never-know. Examples of some of the bar nibbles include: Bedeviled Eggs with Bacon, Jalapeno and Cilantro, Meatballs with Spicy Marinara Sauce, Roasted Brussel Sprouts with Bacon, Maple Syrup and Pine Nuts, Mango and Shrimp Jicama Taco with Spicy Sauce. In addition to an extensive wine list featuring the finest vintages from California and abroad, they feature handcrafted cocktails and seven beers on tap. In the dining room there is a lovely selection of Small Plates---from Eggplant Hummus to Ahi Poke and Roasted Tomato Bisque. There are four Flat Breads to select from and my favorite is the BBQ Chicken, however the Fig and Arugula is delicious too topped with Bourbon Bacon and Goat Cheese. Salads are a meal in and of themselves---from Flat Iron Caesar to Salmon Bibb and Chinese Chicken Salad too. Larger plates include burgers and fresh fish, Lobster mac n&apos; cheese and more. The hours are: Daily from 6:00am to 10:00pm, and until 11:00pm on Friday and Saturday nights. 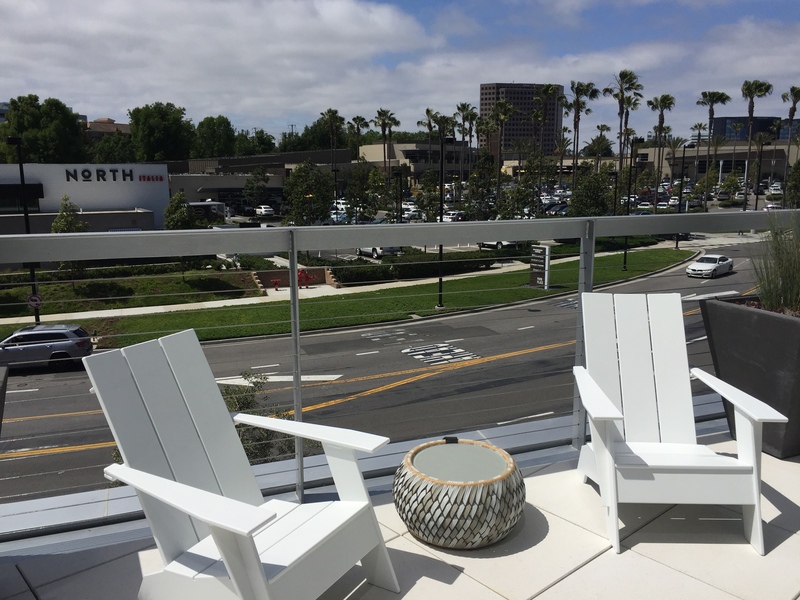 The AC Hotel Irvine is a brand new hotel that just opened early April 2017. The hotel is located in the Park Place business park (at the corner of Jamboree Road and Michaelson). The hotel features 176 spacious guest rooms with a modern décor and integrated work stations in the guestrooms. There is a fitness center and heated swimming pool on the second floor. 10:30am, and on Saturday and Sunday from 6:30-11:00am. few examples. On tap are four beverages including: a Sparkling Wine, Chardonnay, Cabernet and a Wild Ruby Vodka Cocktail. There are 14 beers served via bottles. This is definitely worth checking out and for those staying at the hotel, there are numerous restaurants just steps away for complete lunch and dinner options.